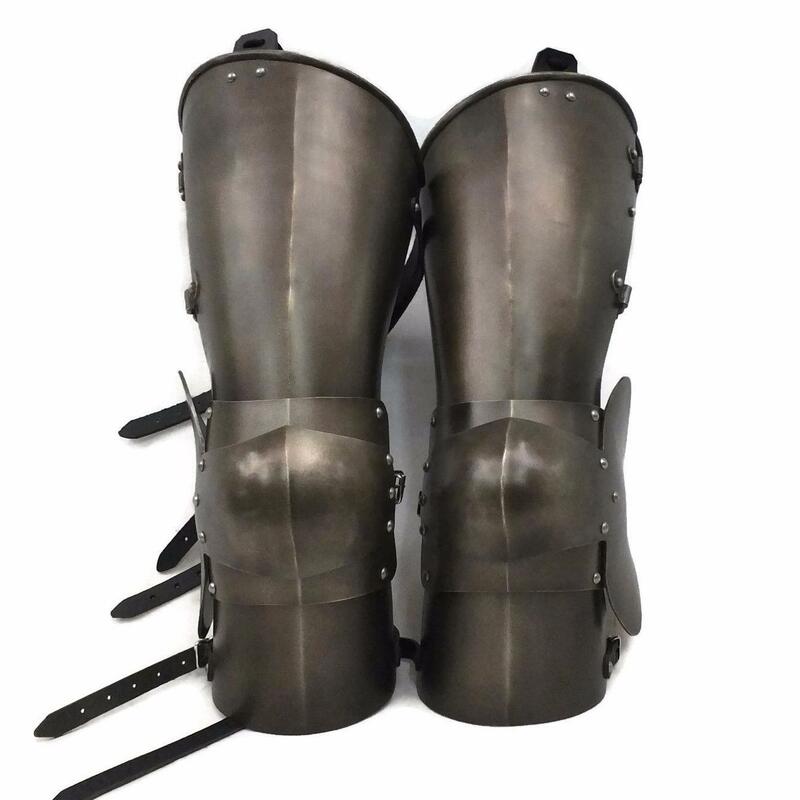 Video shows Dark Steel finish. 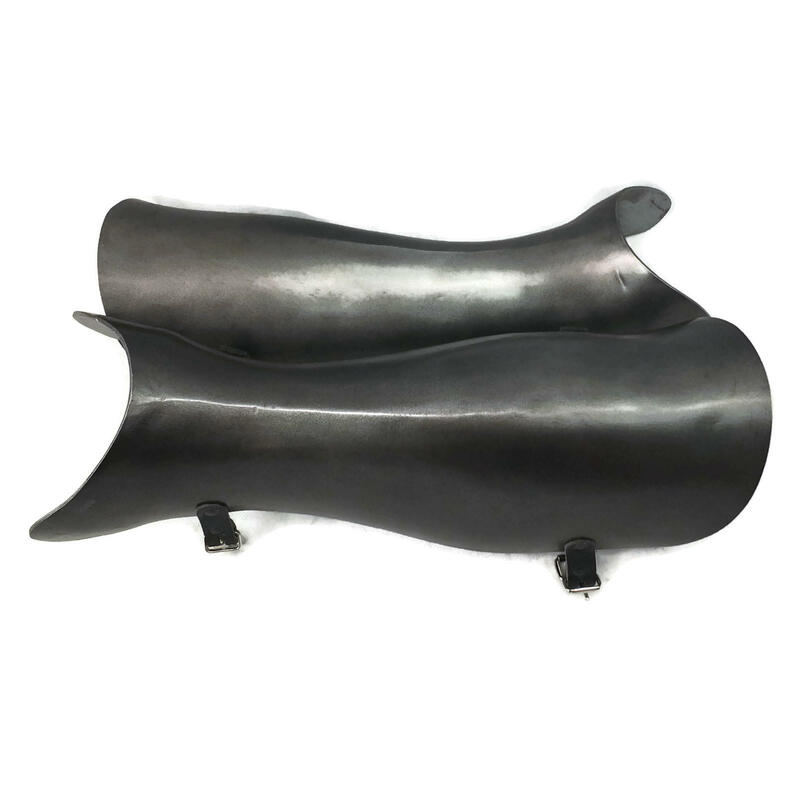 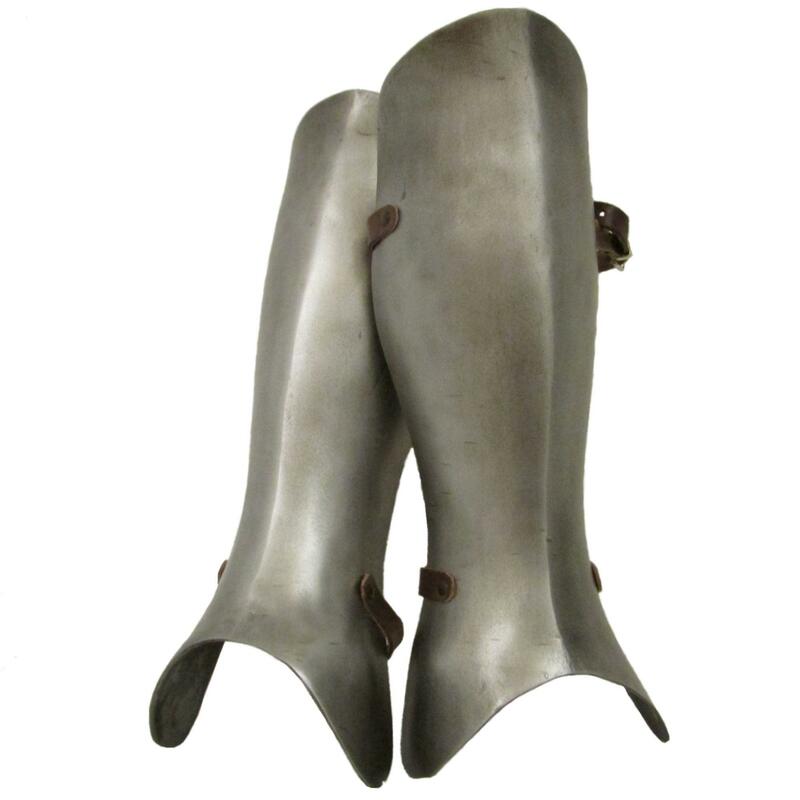 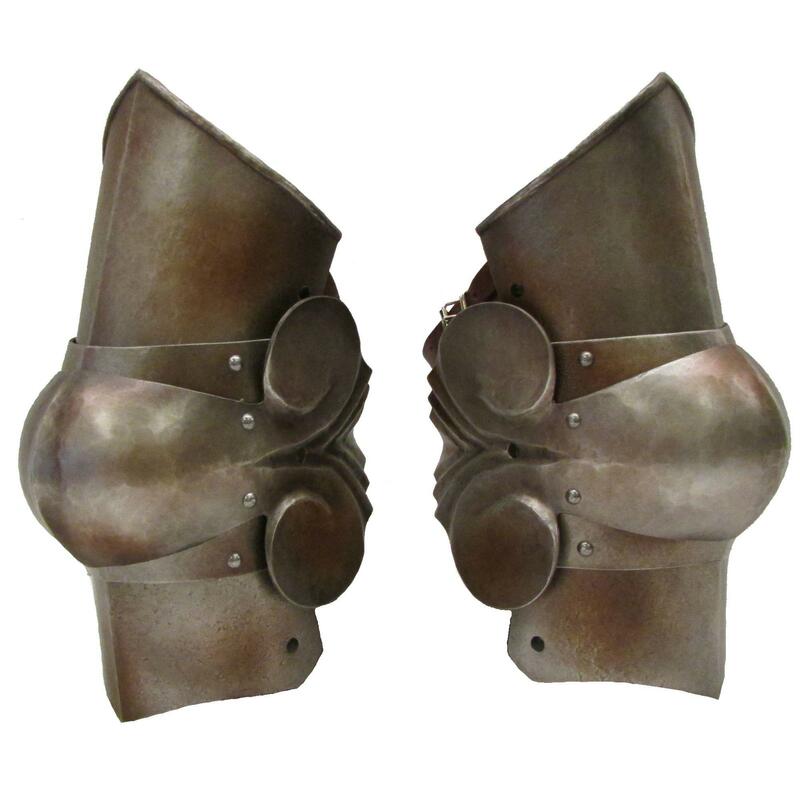 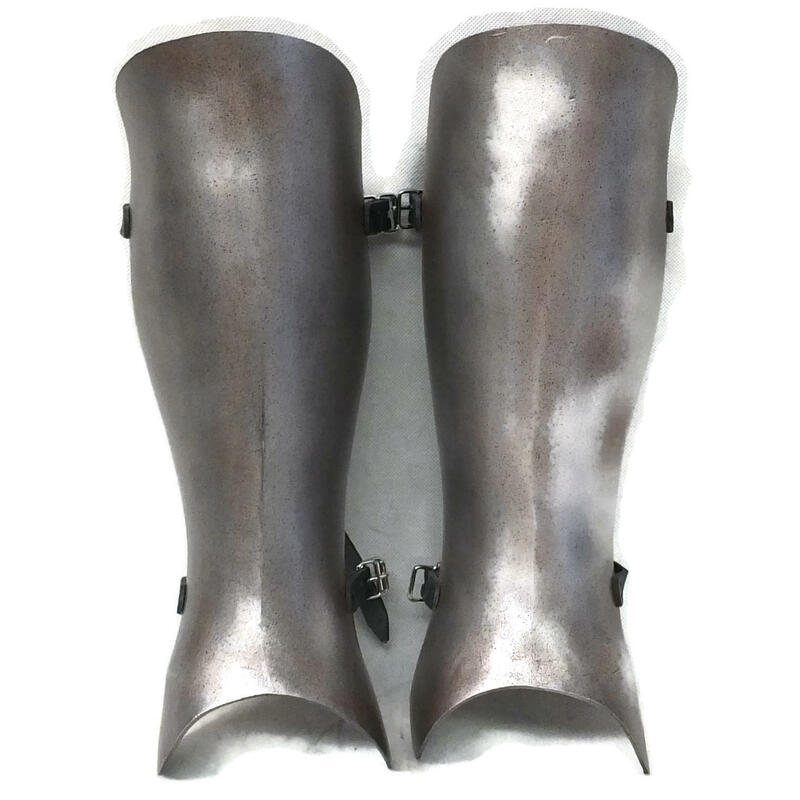 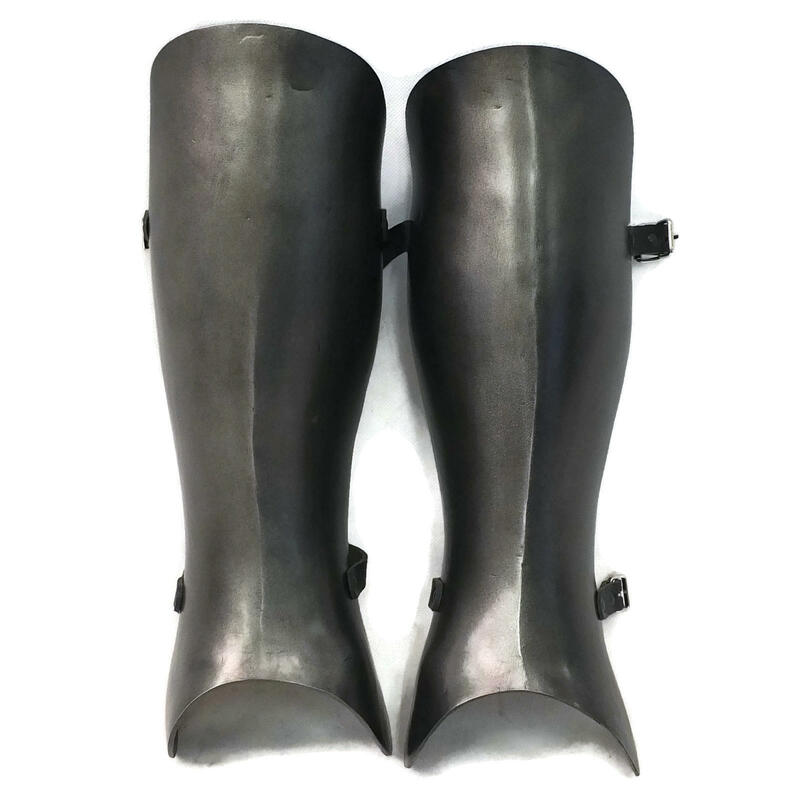 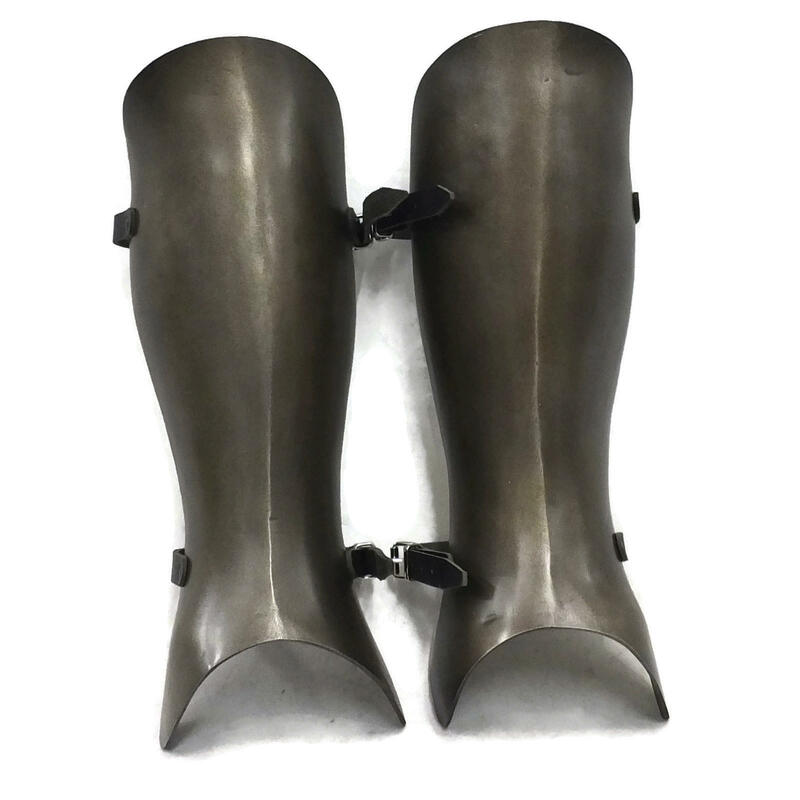 Set of plain medieval style greaves. 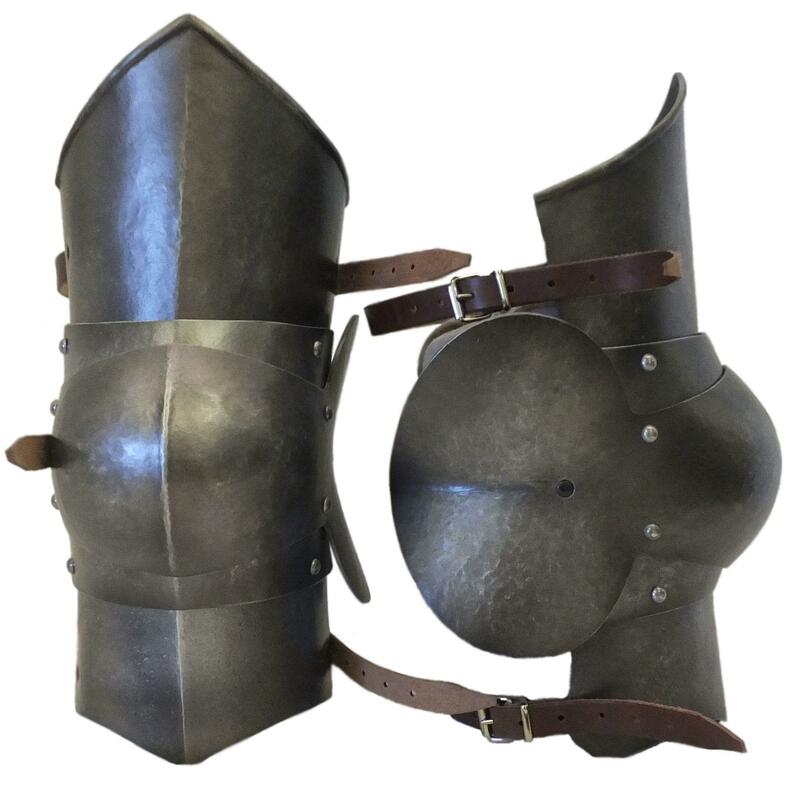 Complete with leather fixing straps.